Blazing at the speed of orange. 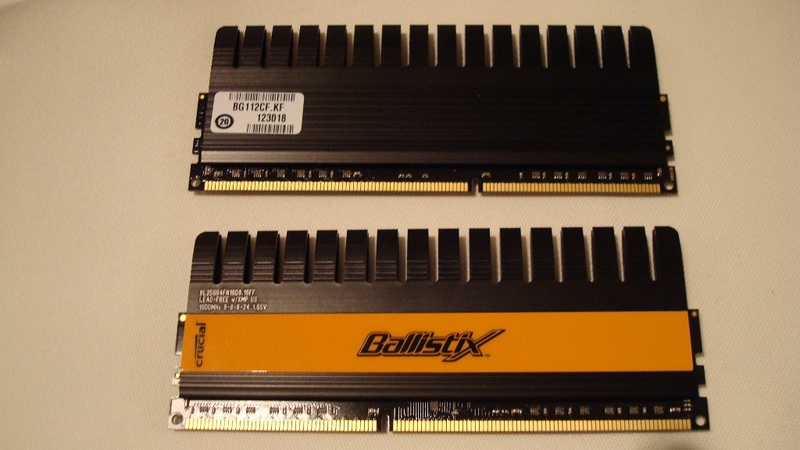 The most commonly quoted solution to speeding up a computer is to add additional ram, unfortunately with most desktop boards you are limited to only 4 dimm slots so your options become adding increasingly expensive 4-8GB sticks of ram, or you can add a set of smaller but faster sticks of ram such as the new Crucial Ballistix 4GB kit weighing in at PC3 12800 (DDR3 1600) this speedy little kit will take up two dimm slots with 2GB per slot this will allow you to add even more ram perhaps in the form of an additional kit . Crucial’s take on the Ballistix line. A quick view of the front of the package inside you can see the two ram sicks each one 2GB. 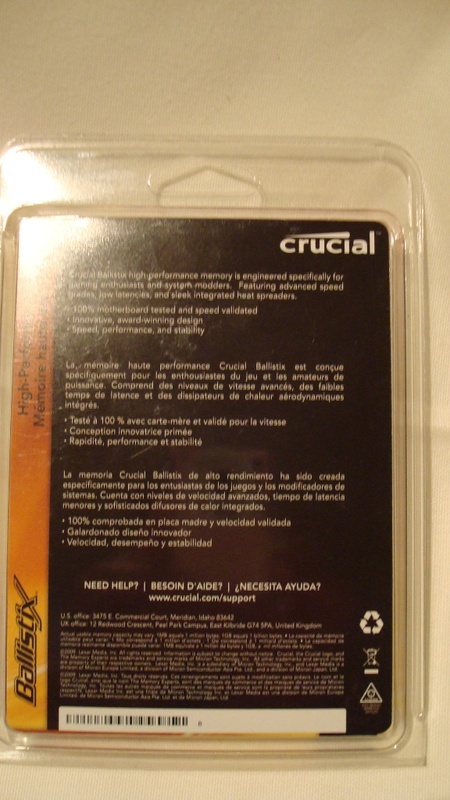 Rear of the package contains basic information regarding the high performance of the Crucial Ballistix ram. 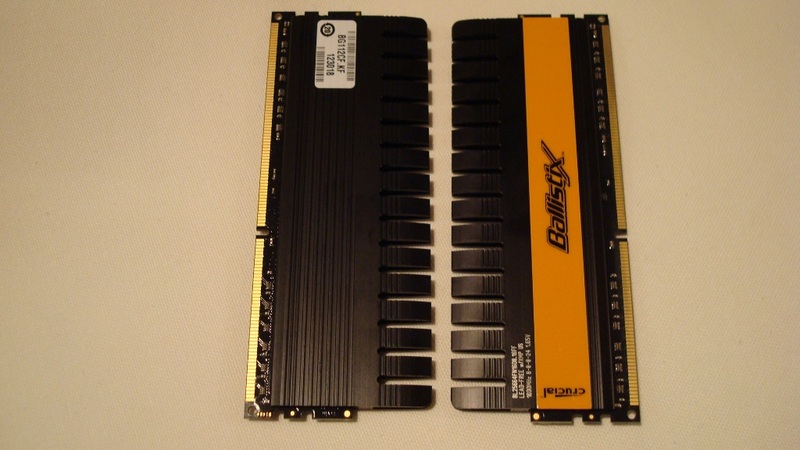 The packaging is exactly what you would expect from a DDR3 Ram set found in a retail store. 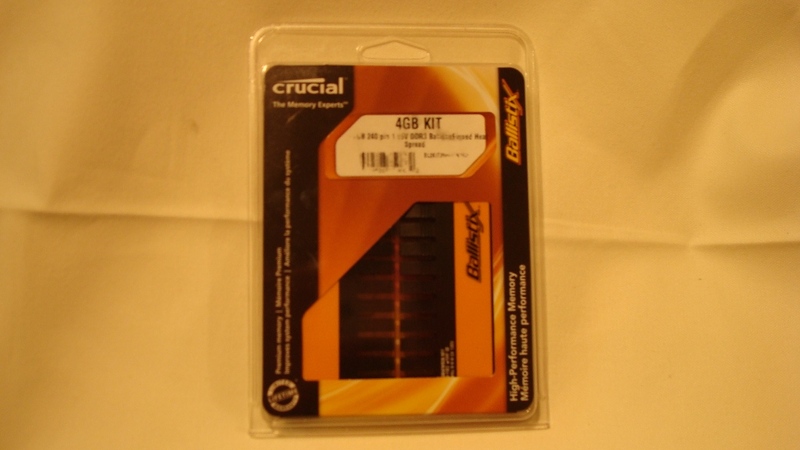 As for information on the packaging, other than the basic information such as the ram being 240 pin at 1.65V. An closer view of the ram sticks. By taking a closer look at the ram you can see a closer look at the orange styling on the right side of the ram. On the left side of each stick you have a small white sticker with what I believe is the part number. Another shot of the ram with its heat spreaders. The finned heat spreaders will help to dissipate the heat built up buy running the ram in close quarters at a high speed. 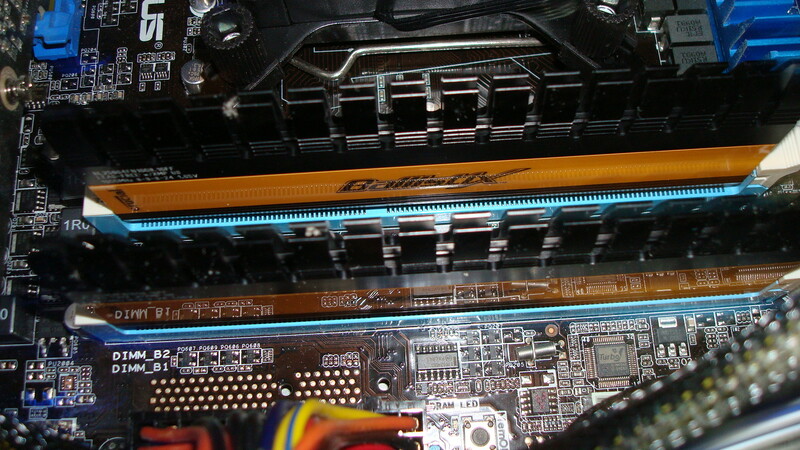 An image of the ram in a system, as you can see the heat spreaders on the top of the ram allow for cool air to be drawn over the ram to dissipate the heat.